A gold standard for non-surgical facelift. This facial features radio frequency to tighten the skin and smoothing out wrinkles, Microcurrent to lift, tone and contour the face with NASA approved LED light (red, blue and infrared). This combination is the quickest way to stimulate collagen production naturally. You see immediate tightening of the skin, long lasting lift and increased plumpness. Great for softening fine lines especial around the mouth area. Ending with cooling Oxygen infused with our hyaluronic elixir. This facial is our go-to before any red carpet events. This facial is an idyllic combination of manual lymphatic drainage massage, meridian points acupressure and gua sha massage to detox and drain puffiness. This immediately opens up the meridian points on the face and neck for better circulation. 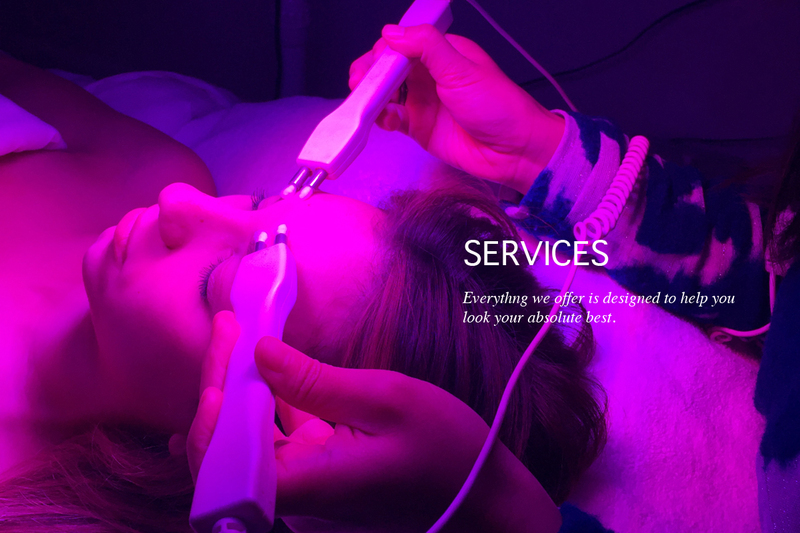 Next, the LED light along with the electrical Microcurrent further enhance the lymphatic drainage process while lifting and firming the cheeks and jawline area. Ending with the soothing Oxygen mist infused in our hyaluronic elixir for radiant glowing skin. The ultimate workout for your face. This is our most effective “natural facelift” facial. Tried and tested by beauty editors, A-listers, fashion icons and influencers. Also known as the Sculpt and Empower, Cecilia’s signature facial for immediate and long term results. It starts with diamond microdermabrasion for gentle yet effective exfoliation. Follow by a combination of manual lymphatic drainage massage, meridian points focused acupressure and gua sha massage. Microcurrent to lift, firm and tone the face muscles. Lines are soften, relieving of any puffiness, cheeks contoured and jawlines will look defined. A soothing Oxygen blast infused with our hyaluronic elixir to plump and hydrate your skin. This treatment is so relaxing, most of our clients fall asleep and wake up looking and feeling rejuvenated. A favorite for all skin types. This deep cleansing facial is the perfect solution for re-booting or jump-starting your skin. Using our natural skincare products along with extractions to gently unclog and remove all blackheads/ blemishes. Lymphatic and acupressure massage to detox away the impurities. Finishing with pure Oxygen mist to further kill bacteria leaving your skin a clean and clear complexion. Your skin will feel clean and fresh.